The ideal varieties of Dessau Swimming Pool are situated mainly in major cities, but it is also easy to discover public pools in rural places. There are often discounts offered to senior citizens and small youngsters for independent swim. 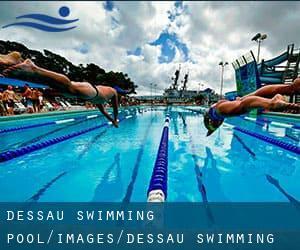 Find out by contacting your nearest pool among these varieties of Dessau Swimming Pool. Swimia.com needs your feedback on Aquagym in Dessau to ensure all the information about swimming in Dessau is valid. Thanks to some new pools submitted by swimmers like you, Swimia.com is increasing in the everyday number of stored pools. Please do not hesitate to contact us if you locate any Dessau Pool with inaccurate or incomplete details. We probably don't know all the Pools in Dessau. Are you missing any? Contact us!. 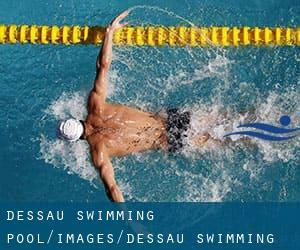 The best choice for the duration of your visit to Dessau will be droping by a Dessau Pool. Updated on 2019 Heidestr. 204 , Dessau , GERMANY (Postal Code: 6849). This sports center offers 25 meters, Indoors. For this Swimming Pool, only phone number is number here. One on the benefits of outdoor swimming in Dessau could be the possibility to sunbathe during the summer season. Taking it with added care, sunbathing is healthful given that introduces Vitamin D into the body, so the most effective option seems to be switching between indoor and outdoor pools depending on the season. There are several reasons why you might want to choose a heated swimming pool in Dessau. The most significant one relies on the importance of keeping the body temperature stable. If the water is too cold, your body will try to warm it up and you will lose strength to swim correctly. If you're tired of having eyes and irritated skin, finding a saltwater pool in Dessau can be the solution. You must understand that the level of salt from these pools is well beneath the level of salt from sea water, specifically they are talking about a tenth or less. There are a lot of alternative treatment options to chlorination, with great advantages that ensure better water top quality in the pool. One possibility would be the mineralizer, which purifies water naturally and significantly decreases the chemicals applied and maintenance time. Try Chlorine Free of charge pools in Dessau. Enjoy the best indoor pools in Dessau and don't worry about the weather. These facilities are open all seasons and you can enjoy a swim at the same temperature every day of the year.